Your wedding day is the most special day in yours and your partner's lives. With the amount of time, effort and money that couples invest into planning the perfect day, it is only right that any professional that you hire to provide any service on or for the day provides you with the very best. 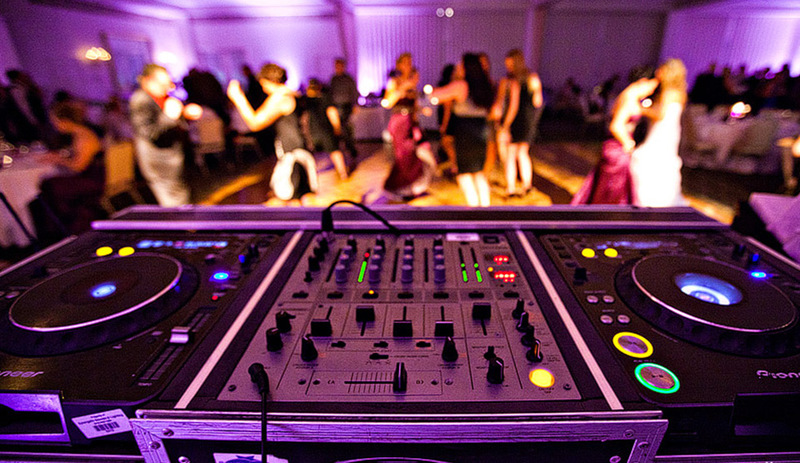 Craig McConnon has worked as a DJ for over 15 years and has a wealth of experience DJing at weddings. Having provided services at hundreds of destination weddings across the globe, including Cancun, Zanzibar, Santorini, Miami, Mauritius and The Seychelles, as well as here in London, it is clear that his services are second to none. With excellent reviews and feedback from 100% of his clients and their guests, he is guaranteed to make your special day one to remember. Craig McConnon's excellent team will work closely with you to arrange a personalised package for your wedding, discussing with you your individual and venue needs and requirements, budget, atmosphere/mood, genres of music, and any other specifications. We are also able to provide you with honest and expert advice to help make your day run perfectly. Craig McConnon and his team aim to provide you and your guests with an occasion full of memories to look back on for years to come. Having covered both small and intimate weddings for parties of just 50 guests to much larger weddings catering for over 1000 guests, Craig McConnon is able to provide you with the perfect package to match your event. With his unique ability of mixing older classics with any genre of music, he is sure to have your guests on the dance floor, having the time of their lives, and wanting more! Trust Craig McConnon to deliver the very best in music and entertainment for your wedding and giving you everything you deserve on your special day!